cost R 4800- to R 5200- per month for 12 months-Text books and exam registration fees included. 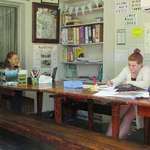 DawnCroft Ed is alternative schooling using distance education with tutor support. 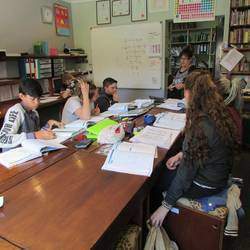 DawnCroft Ed provides small Tutor based sessions in a homely environment where emphasis is placed on students' strong and weak points in learning. Learners are nurtured in a constructive affirming environment by tutors and facilitators that have a passion for education. Students are able to get more hands-on attention from the facilitators/tutors in the smaller environment. Tutor-based schooling has been very successful throughout history and is an exciting alternative to mainstream schooling. Students are encouraged to develop self- motivation and self-discipline that will stand them in good stead in tertiary education. Periodic multi-grade tutor-sessions enhance learning as these fill in the gaps and stimulates interest in a variety of learning areas. Thanks to Alga and her team we haven’t looked back! We have seen improvements all round… especially confidence independence and capability.. Well done and thank you!